When I read Dream When You’re Feeling Blue by Elizabeth Berg, I cried when I finished it. I also got on the computer and “adopted” a soldier in Iraq and started writing letters to him. I had done the same during the Gulf War in college. That’s how much that story and novel moved me. The Last Time I Saw You, unfortunately, just didn’t do the same. It’s not that I must cry or laugh but I do require some resonance. Maybe I can’t relate to 58-year-olds about to attend their 40th high-school reunion. I’ve been to my 5th, 10th and 15th high-school reunions. The Last Time I Saw You contains a few colorful characters but it dragged at points. Each individual had certain visions of their futures, as we all do. Most seem content, some aren’t. Dorothy has yet to attend a reunion and wants to see her high school crush Peter Decker. Lester, a veterinarian and widower, has a happy life with all the animals in his care. Mary Alice has moved back to her hometown and settled into a quiet life. Candy, a popular girl in high school, realizes [she’s recently been diagnosed with an aggressive form of cancer] that she needs true friends. Pete Decker regrets the separation from his wife and his repeated cheating. Each expects the reunion to change their lives in some manner. Once this group attends the reunion everyone at first reverts to high school, as always seems to happen at reunions, until everyone realizes that they have grown up and are no longer geeks, jocks, prom queens, and loners [reference to The Breakfast Club— I am such a Gen-Xer]. It might not help that I’ve also been reading The Book of Joe by my contemporary Jonathan Tropper. That novel completely captivates me as it follows a writer who wrote a book about his small town when his father falls ill, 17 years after graduating from high school in 1986. He wrote a book about his senior year and many are not pleased with their depictions in his thinly veiled novel. [I graduated from high school in 1987]. My mom read The Last Time I Saw You before me and she thought there were too many characters. I didn’t find this issue that much as Berg introduces each character quite adeptly at the beginning. The reunion introduces many classmates and there’s that chaotic, frenzied– “hey is that?” and “remember me?”– atmosphere. 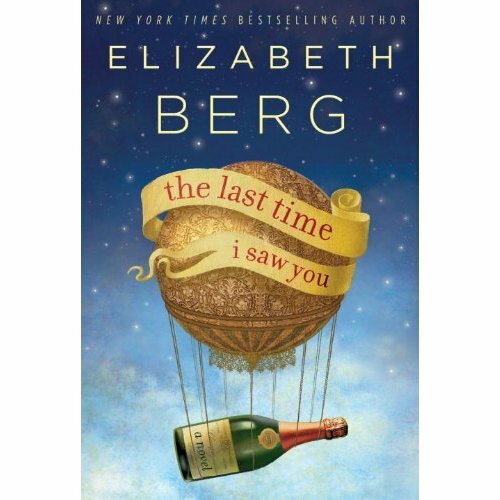 I’ll continue to read Berg’s novels but The Last Time I Saw You proves to be a bit disappointing. Elizabeth Berg appears at Brookline Booksmith on April 26, 2010. This entry was posted on April 4, 2010, 21:02 and is filed under Books. You can follow any responses to this entry through RSS 2.0. Both comments and pings are currently closed.